Hello again, fellow Dtoid New Yorkers, Dtoid NY is planning some big things for the fall and we don't want you miss out. So, using the power of Google Wave, we will be planning for some up coming events using the service. 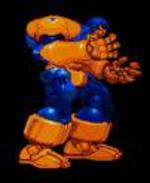 If you wish to be in the Dtoid NY Google Wave, contact me at power.glove1 at googlewave dot com. Capcom Fight Club: This Thursday, keep checking Dtoid NY for where this event will be taking place. There will be likely preview builds of Tatsunoko vs Capcom and Super Street Fighter 4 at the event. So, be ready for a fight. Halloween Festivites: There will more than likely some Dtoid NY stuff going on that weekend. Check out our twitter for any update on what we might be up to that weekend. Anyone want to get some Dim Sum? Blipfest: Dtoid NY's very special event, Dtoiders throughout North America will be coming to NY for the weekend of Dec 18-20. More news on the lineup will be coming soon and we will update you guys as soon as we get more info on this very special info. Fun times will be had. Thanks for your support NY/NJ/CT, see you guys soon.